The Batcave - Do WB know what they have? How I believe GOTHAM should be! I’ve stuck fast with Gotham over the past seasons, it’s been difficult at times I must say, what with all the changes in the Batman mythology they’ve made, but what get’s me really exasperated is, do Warner Brothers know just what this show could be! Fans of Batman have argued for years to bring Batman back on to the TV in a live action series and when Gotham was announced I groaned at the description of what we were in for. Basically it was supposed to be a CSI kind’a cop show, based on the life of Jim Gordon, showing his rise to the position of Commissioner. Oh how boring! The first season was exactly that, pretty boring and not a lot happened. Yeh we got introduced to a few characters, but I could just never really get inspired by it. Who want’s to know about Jim Gordon, when everyone knows that although he’s a great character within the Batman stories, he’s basically a ‘B’ character. We ALL want to see the BAT! Not to mention we had the awful character of ‘Fish Mooney’ shoved down out throats! Really…. Who in their right minds thought that this would be an interesting character! I have to say though, the characters of Penguin and Edward Nygma, at last to be known by his true name, the Riddler have been awesome. The growing relationship between Bruce and Selena not too bad either, but please STOP with the Jim Gordon rubbish.. it hasn’t worked! Where this show excels is the portrayal of these major villains, and don’t get me started on Jerome. We all know he’s basically the Joker and if he doesn’t end up being the Joker, then we all know Warner Brothers are the most infuriating and stupid company ever to own the rights to major characters. Cameron Monaghan has literally owned that character from the first time we saw him on screen and has seriously made bigger named movie stars look stupid with how he’s moulded his way into the huge character that is the Joker. Warner Brothers could have the biggest hit ever to grace out TV air waves on their hands with this series if they just sat back and took stock of what they’ve got here. They have 3 unbelievable actors in Robin Lord Taylor, Cory Michael Smith and Cameron Monaghan all portraying the huge characters of The Penguin, The Riddler and Joker that have owned these roles and bought them to life, probably better than anyone and YES in my opinion OMG, Shock, Gasp, Horror, even better than Heath Ledgers version of the Joker. Not only do Warner Brothers have something with the actors and characters but they have a fantastic on screen version of Gotham City. Kudos to the set designers of this show, they really have done their research and literally bought to life the pages of a Graphic Novel. A dark, depressing, crime ridden city, that is Gotham. That’s the three main and most important characters of Batman’s house of villains… if the show can steer the character of Catwoman played pretty well by Camren Bicondova to as good a villain as the rest, then they have the making of the ultimate BATMAN TV series, propped up with other villains here and there. Now here’s the clincher and here me out on this one… all they need to complete this set is BATMAN! If Warner Brothers can some how find a viable and believable way to fast track all this non sensical training of Bruce Wayne, don’t get me wrong I know it’s an important part of his mythology, his training of his fighting styles and detective work.. but do we really want to see another series or two of just that! NO, we want to see a BATMAN go up against these foes, we want to see him out whit the Riddlers, riddles and the Jokers vile escapades. Bring scarecrow in to the mix, we've already seen the foundations layed out, even HUSH and Two Face! Can you imagine this series turning in to the detective series they always wanted, but NOT of boring Jim Gordon, but the BAT himself. 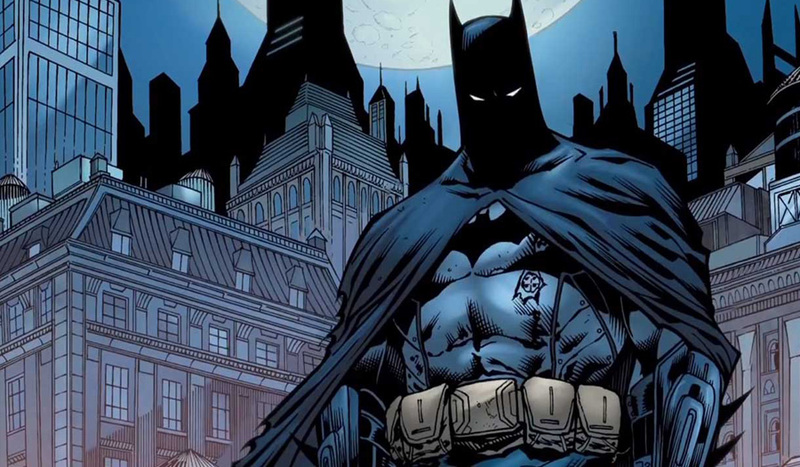 We could finally have a series based on BATMAN that centers on his skill as ‘The Greatest Detective in the World’. We’ve done the same over here in the UK, with Sherlock, which has been a resounding success, partly due to the actors who play Sherlock and Whatson. But the actual writing of the show is superb, seeing how Sherlock works out the problems and solves the clues. Why can’t it be done with BATMAN over there in the USA. Warner Brothers have ALL, yes ALL the parts, well... except for one, BATMAN himself, to make it happen! Visualise in your head, the sets they’ve built for Penguin’s house, with the rain hitting the windows and a storm outside and imagine the dark shadow of BATMAN standing at the window, just his outline, the lighting cracks and we see his eyes… white, not his real eyes because his cowl has white eye covers! He picks the lock to the french doors and next we see him in the room, instantly casing the room, the exits, the doors, everything the ‘Detective would do’. He’s looking for something, something he knows is in the room… his informant is never wrong. We see him reach for something as his cape which is draped in front of him, concealing his uniform slightly parts and almost falls away like water to allow his gloved hand out of the darkness, suddenly he hears a deathly laugh in the background! Just made this up as I was writing this article, but don’t you see, it could be completely possible! Notice how I described the cape in front of him … we don’t want another Rubber or latex costume, lets have a beautifully crafted and taylor made material uniform, cowl as well… I’ve done it, so I’m sure professional costumers can produce a perfect one, and lets have a cape that falls in front of him like in the comics that encloses him when he’s at a stand still. I’m tired of the capes that every costumer has come up with that falls over the back of his shoulders all the time… for pete’s sake if no one knows how to do it, I’ll come over myself and do it for them! Anyways, these are just my thoughts on what GOTHAM could actually become, if certain people realised just what they’ve got!